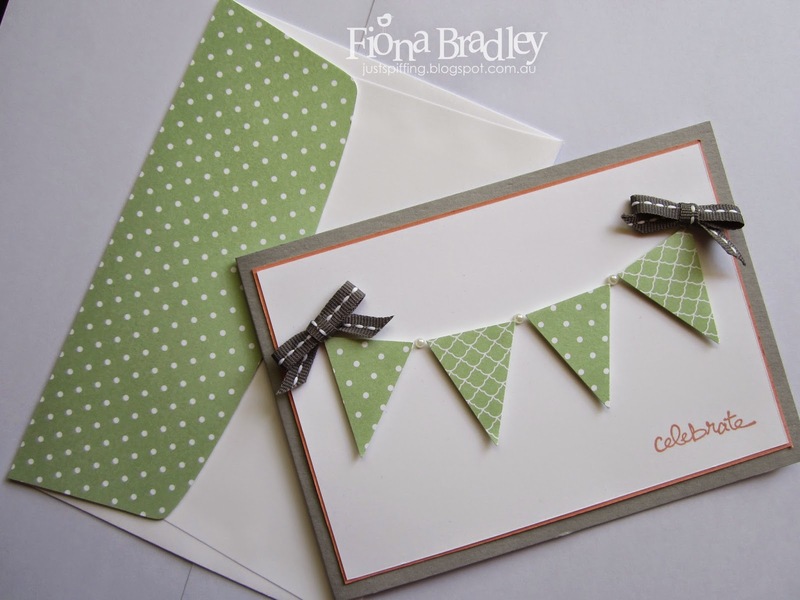 Welcome to the December Crazy Crafters' Blog Hop showcasing Designer Series Paper. 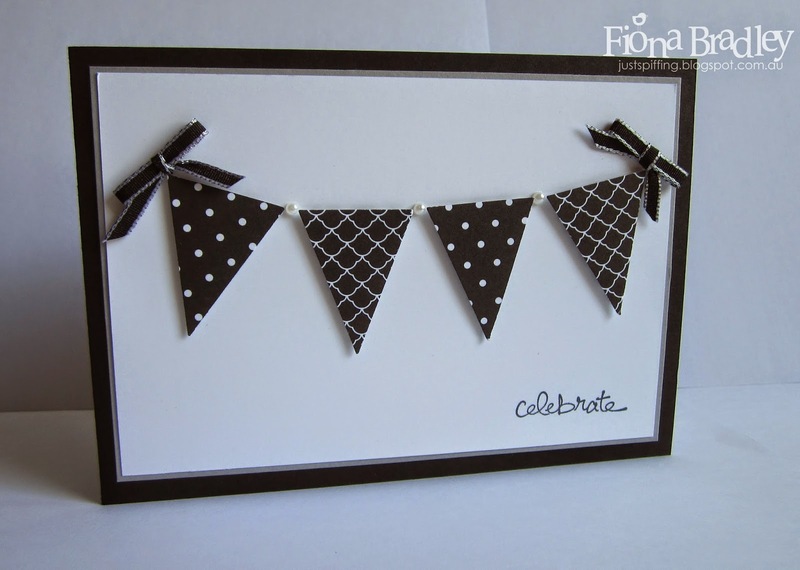 My card this month was also used in a card kit giveaway via my Facebook page. If you haven't "liked" it yet, head on over and click like now. I can help you keep up to date with the lastest from Stampin' Up! and you can see my new cards as and when I blog them. Easy, quick and snazzy! Don't you just love cards like that? Smoky Slate with snail tape. The flags are punched from the In color 2013-2015 Background DSP using the Petite Pennants Builder Punch then popped up with stampin dimensionals. In between the flags I've stuck a pearl and on either end are ribbons tied with Basic Grey ribbon (now retired sadly) and adhered with glue dots. To finish off I stamped the sentiment in Crisp Cantaloupe using a sentiment from the Good Greetings hostess set and layered matching DSP onto the envelope. 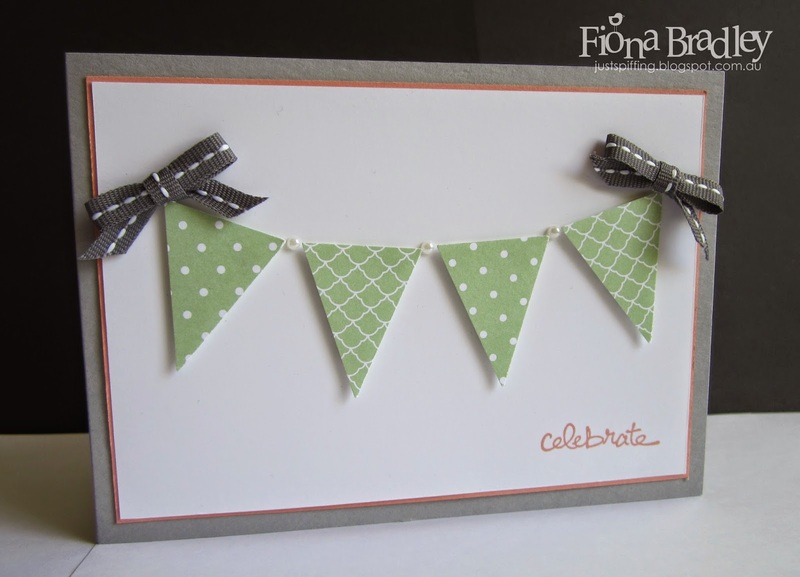 I also made the same card with a more elegant or masculine colour set. (Sorry about the dark photo, my camera didn't want to play ball with my lighting that day.) This is more similar to Maureen's card which I've cased this week. Thanks Maureen! Here I have used: Basic Black, Smoky Slate, Whisper White cardstocks, the same pearl, Basic Black Taffeta ribbon, and black memento ink. 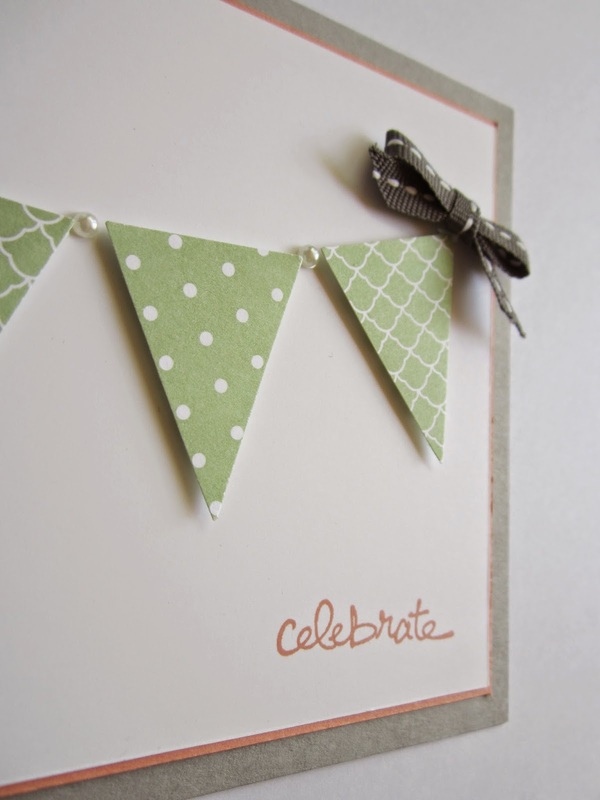 Enjoy "hopping" through the rest of the blog hop. The girls (and I!) love comments so leave as each a wee note as you go through the blogs. Simple and sweet. The masculine one is my favourite, I never have enough ideas for men.